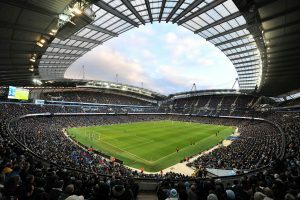 Manchester City will hope to continue their pursuit of domestic honours on Saturday afternoon as they host Premier League rivals Burnley at the Etihad Stadium in the FA Cup Fourth Round. The hosts have lifted the famous trophy on five occasions, with the last time coming during the 2010/11 season. In comparison, Sean Dyche’s Clarets have only ever won the FA Cup once and that came way back in 1914. Thus, this could be a potential reason as to why the Citizens are one of the clear favourites to once again win the FA Cup this season and can backed at odds of 11/4 with BetVictor. Comparatively, the Clarets are available at a price of 250/1. All signs point to the hosts progressing to the next round. Burnley have not managed to win away to this weekend’s opponents since 1963. They can be backed at 11/1 with Paddy Power to qualify for the fifth round of the competition for only the third time in the last ten campaigns. Elsewhere, the reigning Premier League champions are at 1/40 to get through to the next round. Meanwhile, a draw is available at 10/1. In their last three games against the Clarets, Guardiola’s troops have scored at least three goals. As a matter of fact, one of those emphatic wins came in the prior meeting between the two clubs earlier on this season with City claiming a 5-0 success. They are at 4/9 with Coral to do that once again. One of the main culprits to open the scoring for the Citizens is Argentine hitman Sergio Aguero. The ex-Atletico Madrid forward has scored 16 goals in only 18 FA Cup appearances, which would explain the reason as to why he is available at a price of 3/1 with Betfred to score the first goal. Meanwhile, Ashley Barnes who netted first in the previous FA Cup clash between the two clubs last season, which ended 4-1 to the Citizens, is at far higher odds of 16/1 to once again score first at the Etihad. Sean Dyche could receive a considerable boost for the game with the news that Johan Berg Gudmunsson could return to action from a slight thigh strain. However, winger Aaron Lennon will not be able to feature at the Etihad. Regarding the hosts, they have Vincent Kompany and Claudio Bravo both restricted to the sidelines. Nonetheless, Kevin De Bruyne and Benjamin Mendy both continued their respective comebacks in Wednesday evening’s 1-0 win over Burton Albion so could feature once again.